Only 1 left - order now! For small polyp and large polyp stony corals, soft corals and clams as well as problem solving/solution in a salt water tank. Coral Snow is a liquid secondary biological facilitator for elements like B-Balance or Potassium-Iodide/Fluoride Concentrate. Compatibel with all elements, also for Amino Acid and Vitalizer. Coral Snow contains among others a natural Calcium-Magnesium Carbonate mix. With just 2.5µ Coral Snow has an optimal size for absorption by SPS corals. We dose Coral Snow daily with another element each. The dosage can be put into a glass together with another product, mixed and after about 5 min. slowly into the streaming of your tank. You can dose 1 to max. 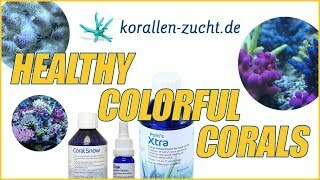 4 ml Coral Snow per 100L/25gallons tank water daily.Coral Snow neutralizes undesirable acids and is a solution against e.g. slime algae and cyano bacteria. Therefore take Corals Snow and add 1 drop of ZEObak per 100L/25 gallons tank water each 2nd day.The cloudiness in the water is harmless for all fish as well as sensitive corals. Awesome product, keeps water clear and my corals love the extra food! Crystal clear water the next day morning after dosing 5 ml on my 120G tank previous night. Was very expensive, but do not confuse cost with quality. This caused my reef tank to crash and all SPS corals were lost My LPS corals are almost dead. Keeping my fingers crossed that they recover. All softies disolved! I would give 0 stars if I could.